Sometimes I feel like I’m drowning in a sea of communication-not-handled and to-do-tasks-unfinished with no life raft in sight. Other days I feel happily adept at navigating the waters of whatever the spring of life bubbles up. A game I play with myself to help me stay centered and present during choppy waters was inspired by the fourth agreement, Do Your Best. It started with me becoming aware of how fragmented I would get trying to do multiple tasks at once. I love the feeling of multitasking, when the pieces come together perfectly so I can accomplish two or more things at once. I feel like a ninja warrior at the peak of my skill. But it is a dangerous path to constantly attempt to scale tall mountains while talking on the phone, answering an email, and brushing your teeth. So I gave myself a new assignment: to do my best, one task at a time. At first it felt like my quick hare nature was being dragged backwards by a glacial tortoise. Only do one thing at once? How would I ever get all the things on my list done? But I could see that I wasn’t able to do my best at anything when I was trying to do everything. It took a week or so to break the habit and to bring all of my self present to each task at hand. I would notice myself wanting to fly off in several directions at once, and I would then ask: “What is your best for this one task?” Each time I asked the question I’d take a deep breath and come back into the present moment. 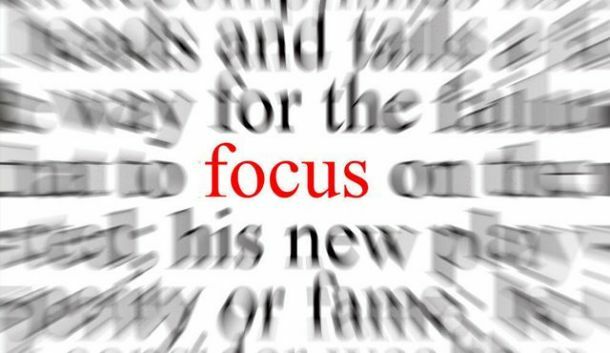 Then I would put all of my focus on the current action. One place that was an extra challenge was on the internet. I’d go to grab a piece of information on a website or post something in a group on FaceBook, and a 1/2 hour later find myself way down the rabbit hole of what my friend’s were up to, videos of cute animals, and articles on people doing strange things I didn’t really care about. Whoops. So in order to do my one task I would say out loud to myself: “I am now going Facebook to remind my group about the upcoming call.” Then I would take a breath and cut through the circus of information and distractions with my mind clear on my one task. As soon as the task was done I’d close the page and return to what I was doing. Sometimes I felt like Indiana Jones, running the gauntlet with my sword, focused only on the light at the other side. After bringing my full attention to each task at hand and doing my best to avoid the abundant distractions and always present temptations, I became more calm and focused. And I found I had more time, even though it felt like I was doing less. I started eating meals without also trying to answer one more email. I worked on tasks I had been avoiding. I cleared my inbox. I also started setting aside specific times to play in FaceBook land or on the internet. I called these my roaming times. I would set a timer and then follow a thread of information and see where it would lead me. I practiced doing my best being engaged fully as I checked out what friends or strangers were posting or watched a popular news story video. I let my brain wander without purpose, and usually found something I loved or that inspired me. I still slip and lose track of time, or end up doing tasks that are more distraction and avoidance rather than really holding my attention on where it would best be utilized. And I’ve learned the value of setting loving boundaries with myself, and supporting my best, one task at a time.